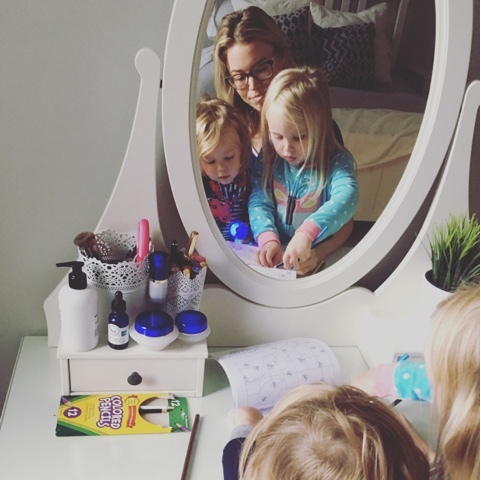 When I first had kids, I had a beautiful vision of reading to my girls from a devotional every breakfast while they listened attentively and ate everything I served them. Fast forward to a two-year-old and a four-year-old and this has yet to happen... either part really. We read the Bible with each of our girls separately in their rooms at night but my breakfast dream remains unfulfilled and while I've been taking my kids' breakfast leftovers as my work lunch, lately I've discovered a pretty amazing way to connect with my girls about God. 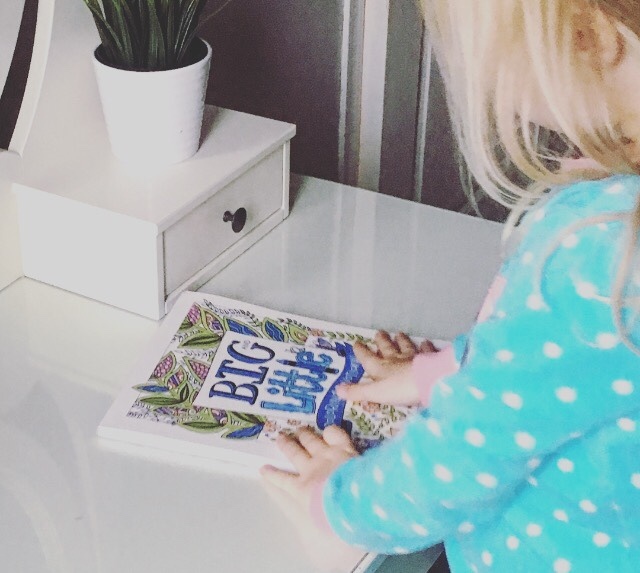 I received my advance copy of The Big and Little Coloring Devotional a few weeks ago and I wasn't sure what to expect. 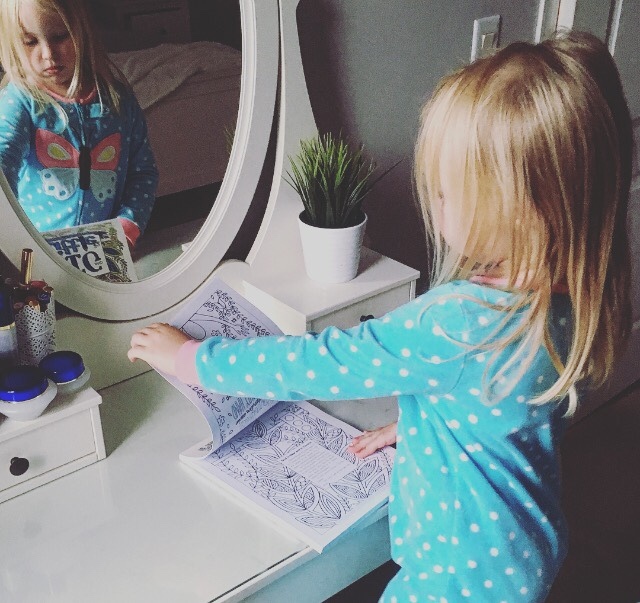 Sure, my girls love coloring but they have plenty of coloring books already. When I took it out and explained that it was a special book we were going to color together, they LOVED the idea of special time with mom. As I flipped through, I really appreciated the beauty of the artwork and the soul food of the words on each page. As a non-crafty mom (see this post for reference), it's the first joint art project I've been excited to start with my kids. Even more incredibly than my enthusiasm is the fact that no one was stabbed with a pencil crayon. If your house is anything like mine, nearly every activity ends in disaster. Someone took something. Someone hit someone. Everyone's crying or screaming or yelling. 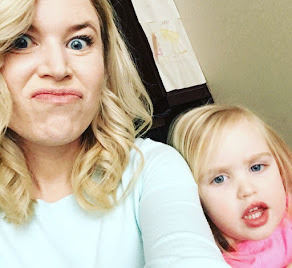 Isn't having a house full of toddlers FUN? 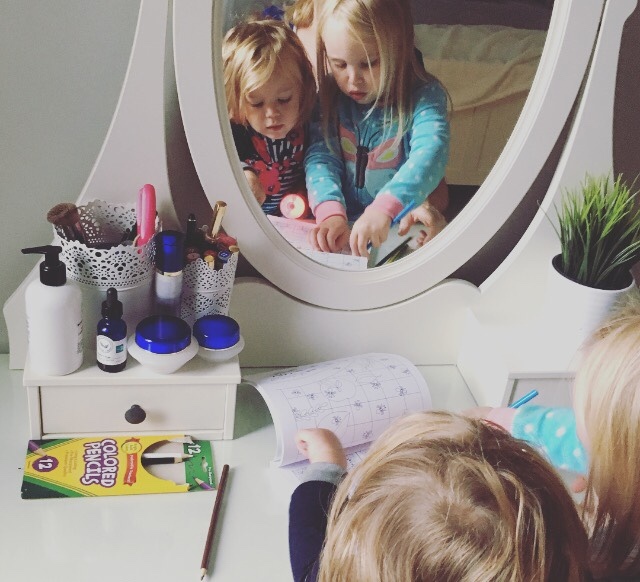 Cuddling, coloring and chatting in my room together for five or ten minutes has become a fun and quiet (all the praise hands) part of our morning routine. There's no creativity required on my part (#craftchallenged) and as a person who rushes willy-nilly from task to task, sitting quietly and reflecting on a verse while coloring has allowed ME to dwell on it more deeply. I hadn't considered the personal benefits of this book but taking time with small parts of scripture brings me a level of calm and peace which somehow naturally leads to engaged discussion with my kids. Basically, I love this awesome little tool. It's simple, fun and doable. 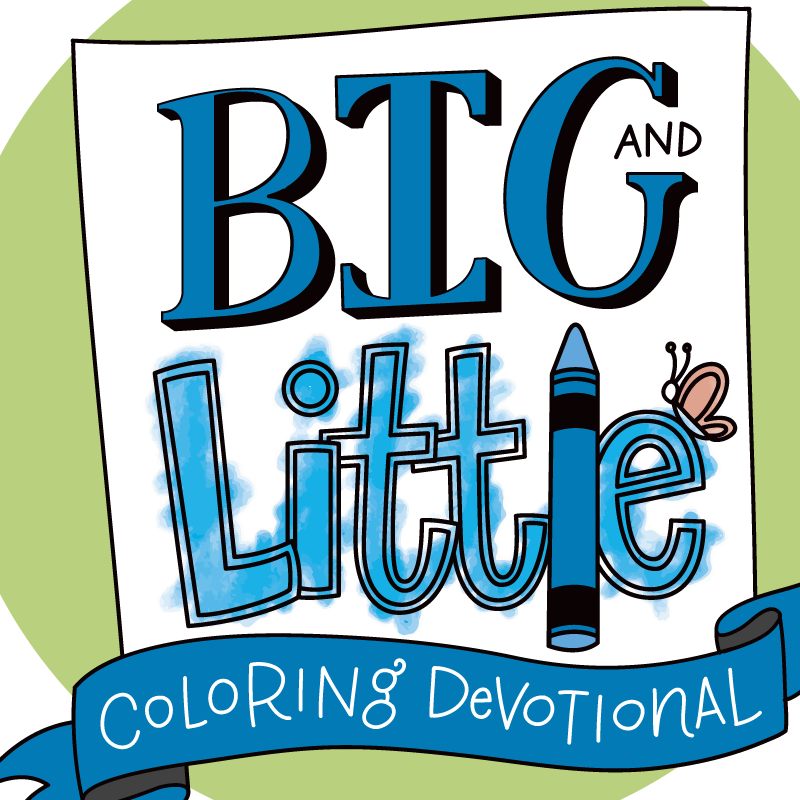 Christmas is coming and the Big and Little Coloring Devotional is a meaningful and economical (ten bucks!) present for toddlers, kids, and parents. I'm ordering a few to hold onto for kid's birthday gifts. Check it out on Amazon here and make sure to like it on Facebook for fun giveaways and encouragement. All reviews on Grumbling Grace are 100% my honest opinion. 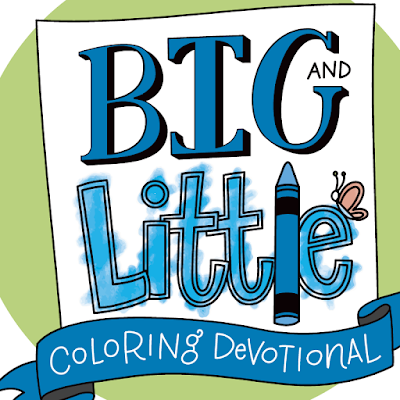 I received an advance copy of the Big and Little Coloring Devotional in exchange for my aforementioned honest opinion.